Has An Auto Show Ever Influenced Your Vehicle Purchase? Before the Internet, an auto show was really the only way to learn about all the new cars hitting the showrooms. Auto shows are a great PR platform for manufactures and journalists love them because they might get some free booze, but are they really valuable to your average car buyer? After all, an auto show is a no-pressure environment to kick the tires, play with the buttons, and see all kinds of vehicles in person. Some of which you might not be able to afford, but it’s fun to pretend. Speaking of buttons, when I was navigating through my somewhat insane purchase dilemma for my next ride I visited the Philadelphia International Auto Show. I wanted to see some wagons in person as my local BMW and Volvo dealers didn’t have any at the time. I sat in both the V60 R-Design and the F31 3 series. When I pulled the paddles on the Volvo, I was immediately turned off by their action. It just felt like I was hitting a button. On the other hand, the 3 series wagon’s paddle-shifters had a little more movement and gave a distinct “click” during their operation. I also got to easily compare the cargo area of both wagons, and saw the BMW had a distinct advantage when it came to fitting larger items like my wife’s wheelchair. Of course, I followed up with actual test drives, to see how the transmissions compared in real life, but my initial impressions were validated. The BMW’s ZF 8-speed transmission was far more engaging than Volvo’s 6-speed auto. However, I came to the realization that I was not quite ready to give up a clutch pedal in either case, and ended up going in a different direction all together. Prior to visiting the auto show, I was convinced the Volvo was the car for me, but my limited seat time made me rethink the advantages and disadvantages of each car. 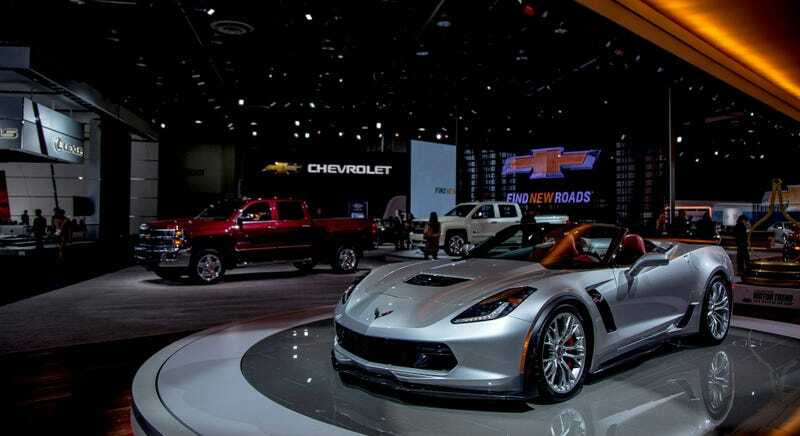 Have you ever changed your mind about a car after experiencing it at an auto show? I Broke My Ankle and Need a Cheap Fun Automatic Car! What Should I Buy?